COLUMBIA, SC (WIS) - Wednesday is the first day of spring. However, it won’t feel like it. 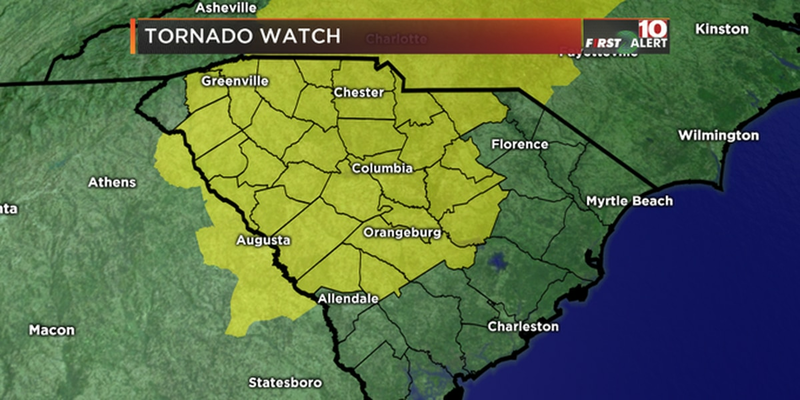 Wednesday morning is a First Alert! We’re tracking near-freezing temperatures in the Midlands. 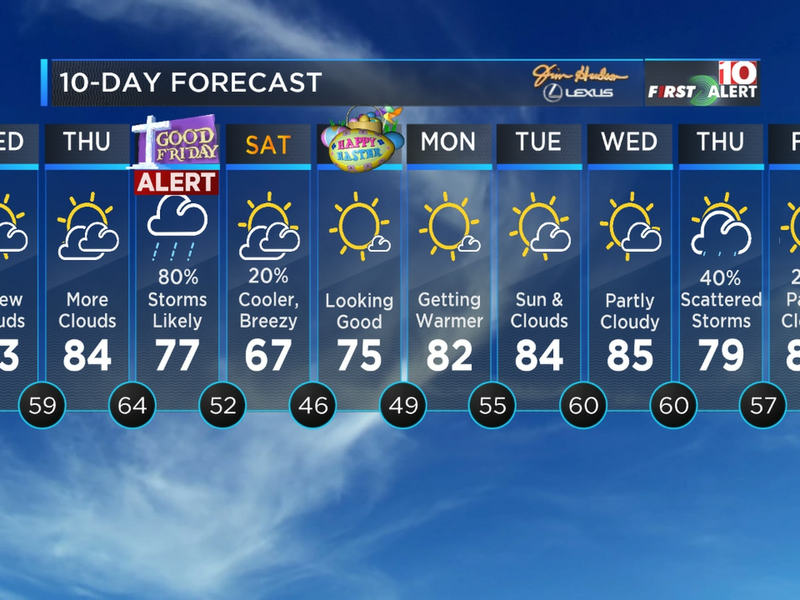 · Wednesday morning is a First Alert! · A Freeze Warning and a Frost Advisory are both in effect for the Midlands Wednesday morning as temperatures drop into the low to mid 30s. Care for your pets and plants! · Highs will be in the upper 50s Wednesday with sunshine and increasing clouds. Some showers are possible east (30%). · The first day of spring is Wednesday! 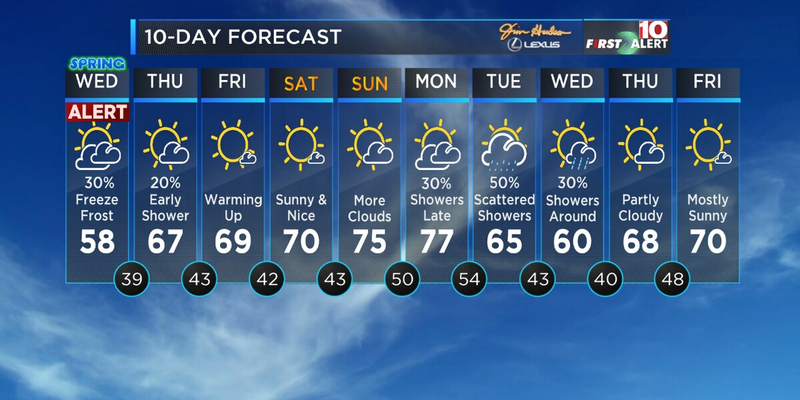 · Highs will climb into the mid to upper 60s Thursday and Friday. · Temperatures will warm into the low to mid 70s by your weekend. · The pollen count will remain very high through the week. · Higher rain chances arrive early next week. A Freeze Warning and a Frost Advisory are in effect for the Midlands early Wednesday morning as temperatures dip into the low to mid 30s. It will be cold enough that some sensitive plants could be damaged. So, plan ahead. Don’t forget your pets, too! Make sure they have a warm place to be. By afternoon, high temperatures will be in the upper 50s. Now, as we move through the day Wednesday, we’ll see partly to mostly cloudy skies. An area of low pressure will move up the Carolina coast. 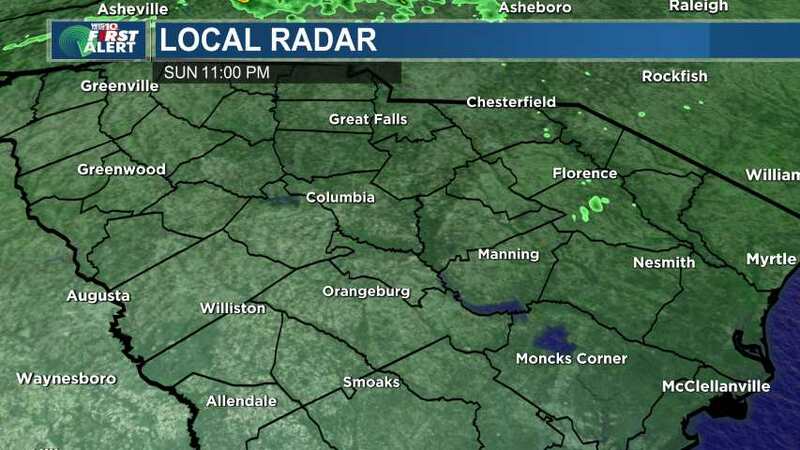 This low could push a few spotty showers inland, especially for the eastern Midlands, the Pee-Dee and the Lowcountry. Rain chances are around 30%. Your Wednesday will not be a complete washout. Highs will be in the mid to upper 60s Thursday and Friday. An early shower is possible Thursday. We’ll see mostly sunny skies on Friday. High temperatures will climb into the low to mid 70s by your weekend. Also, the pollen count will remain very high over the next several days until we see more measurable rain early next week. Tonight: Mostly Clear and Cold. Patchy Frost Likely. Low temperatures in the low to mid 30s. Winds: NE 5 mph. First Alert Wednesday: Morning Freeze Warning/Frost Advisory. Then, Sun and Increasing Clouds. Showers Possible East (30%). Highs in the upper 50s. Winds: NE 5-10 mph. Thursday: Early Shower Possible. Then, Partly Cloudy and Mild. Highs in the mid 60s. Friday: Mostly Sunny. A Little Warmer. Highs in the upper 60s. 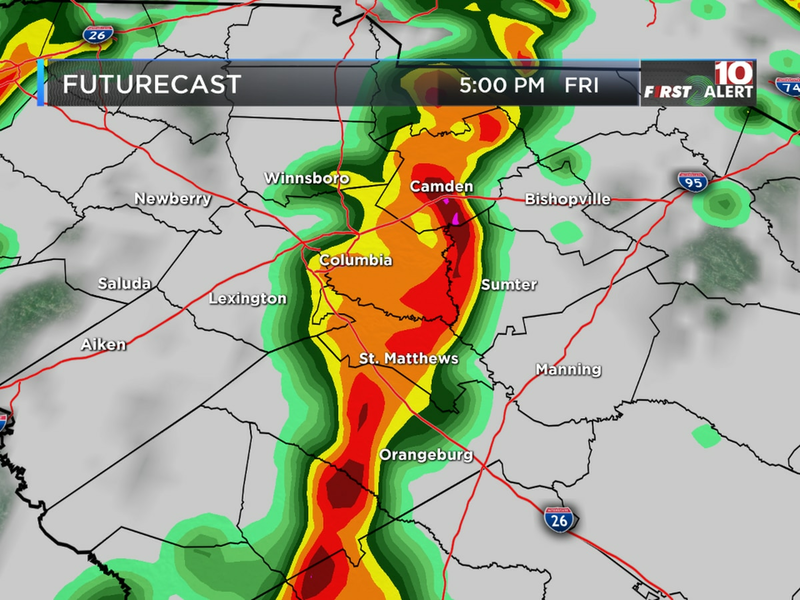 FIRST ALERT: Tracking sunshine, then more storms. Friday is an Alert Day!